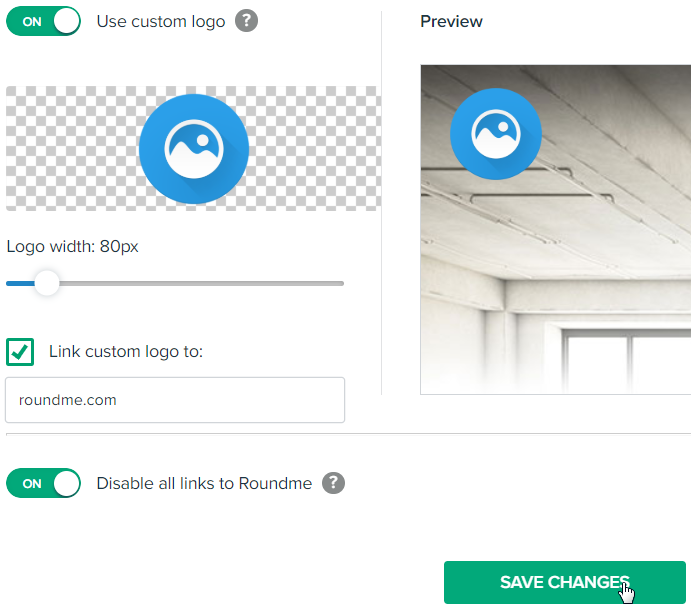 The 'Custom branding' settings you make don't affect the presentation of your tours on roundme.com and all the embeds made with 'Pro embed' tour upgrade. Update the 'Logo width' parameter to change the size of the logo shown in your embeds. In the right part of the screen you can see the preview of the logo. Don't forget to click 'Save Changes' to confirm the changes you made. Custom branding feature provides only a limited number of branding features.